Thinking about individuals and their families in the context of their social networks, the agencies involved and the communities in which they live should be core to social work practice. In common with other agencies, social work can sometimes be practiced in silos. So making sure we take a whole family approach, working with people’s strengths and mitigating risks by providing appropriate support, is the perfect demonstration of best practice. A case in point: adults with learning disabilities are more likely to experience their children being removed from their care, so a whole family focus is essential to getting it right for everyone. To explain more, I am pleased to introduce my latest guest blogger, Suzanne Elwick. 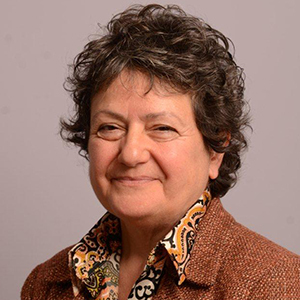 Suzanne is an experienced social worker and Head of Strategic Partnerships for Waltham Forest Council. She has led on this approach across children and adult safeguarding boards to address knowledge gaps and make the right decisions for those needing support. Our Think Family approach means we look at the family as a system which must work for all its members. In practice, adult services must consider how children’s needs impact on the family and how these might affect interactions with children’s services. All agencies and services need to ask questions and understand what family means to the person they are providing services to. Without this, services can only ever support a limited change in part of a person’s life rather than achieve long term benefits. In 2015, we had a case that met the criteria for a Serious Case Review (SCR) and a Domestic Homicide Review (DHR), but the decisions about meeting the criteria were taken in different meetings at different times. This meant initially the DHR was commissioned without taking account of the need for it to also be an SCR. This got me thinking about the need to have one meeting for cases to be discussed that may have learning opportunities or meet the criteria for a statutory review. This would enable us to commission a review which would address the necessary statutory guidance and have a Think Family approach from the beginning. I started talking to partners from across the adults and children’s partnership about the idea and the response was really positive. I engaged an external consultant who had completed combined SCR and DHR reviews to facilitate a day workshop where we debated and discussed a draft terms of reference. When talking to people about the idea I consistently said we just need one panel and before I knew it everyone else was referring to it as One Panel (OP). The One Panel approach reflects the realities of people’s lives by taking a Think Family approach. As people, we don’t live in silos and we can’t separate part of our identity. When we view people through a single lens misconceptions occur and vital understandings are lost. The One Panel provides us with an opportunity to take a holistic Think Family approach. The One Panel started in September 2016 and we had a review workshop in September 2017 where we made changes to our briefing and referral forms to ensure we had the all right information when making decisions and we consolidated and confirmed our understanding as a panel regarding decision making within the statutory guidance. The membership of the panel includes local authority representation from across children and adult social care, community safety, disability and educational services. Associates from health services (acute, secondary and CCG), the police, strategic partnerships and legal teams are also present. The OP discussed a woman with learning disabilities who had a child removed from her care at birth, which would have previously been discussed only at the SCR panel. The adult reps from both health and social care services provided historical information which suggested the mother was herself vulnerable. This resulted in a Local Think Family multi-agency learning review involving practitioners from across the partnership of adult and children services. This highlighted the areas of practice that had worked well and those that needed to be improved to ensure the needs of the adult mother are highlighted as well as the child. The panel is a positive space to reflect on policies and procedures to ensure they are the most effective in safeguarding all children and adults and it has helped to reinforce the work needed across the partnership to do this. 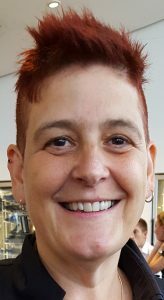 Suzanne qualified as a social worker in 1994 and worked in generic social worker teams, latterly specialising in older people and mental health. She has worked in policy and strategic partnerships since 2003, working for both children and adult services in local authorities. 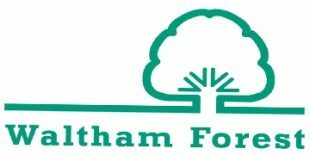 She is now Head of Strategic Partnerships for Waltham Forest and supports the Waltham Forest Safeguarding Adults Board, the Safeguarding Children Board, the community safety partnership, SafetyNet and the Health and Wellbeing Board. As part of this role she is the policy advisor to One Panel. I understand that social care service does not have NHS PALS ADVOCACY SYSTEM WHEN SERVICE USER WISH TO MAKE A COMPLAIN OR COMMENTS and thus service user go from pole to pole and post to post. If you are not satisfied with the conduct of a local authority, you are entitled to pursue your concerns via the formal complaints process that all local authorities are required to have. If you are not satisfied with the response to a complaint from a local authority, you are entitled to ask the Local Government Ombudsman (LGO), who is independent of local authorities, to investigate. Further information about the LGO is available at http://www.lgo.org.uk and there is a help and advice line at 0300 061 0614.